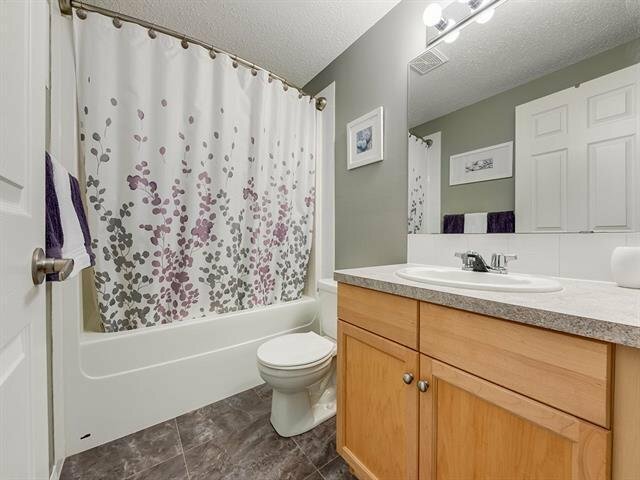 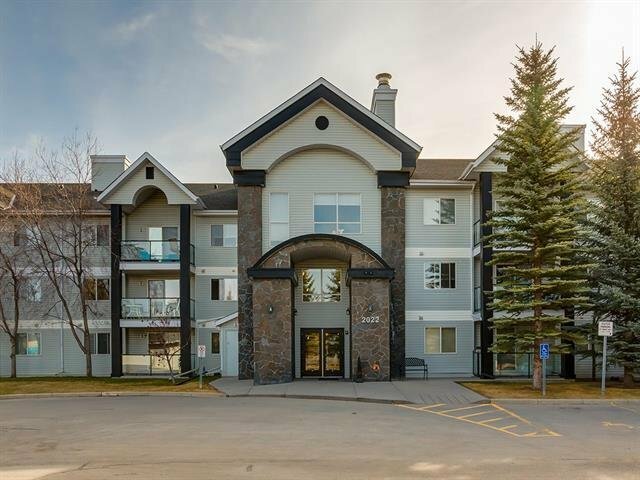 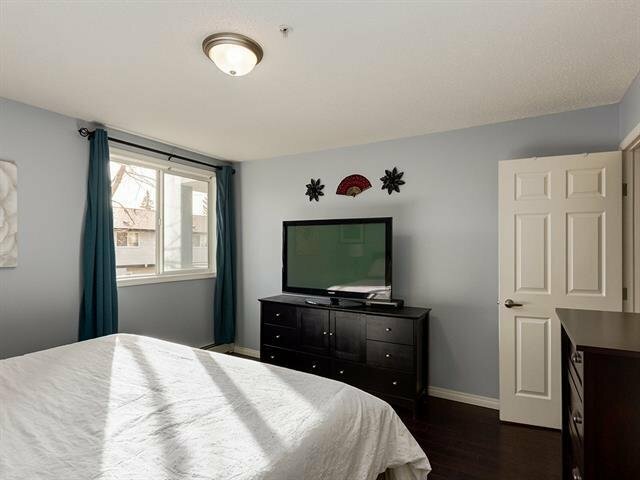 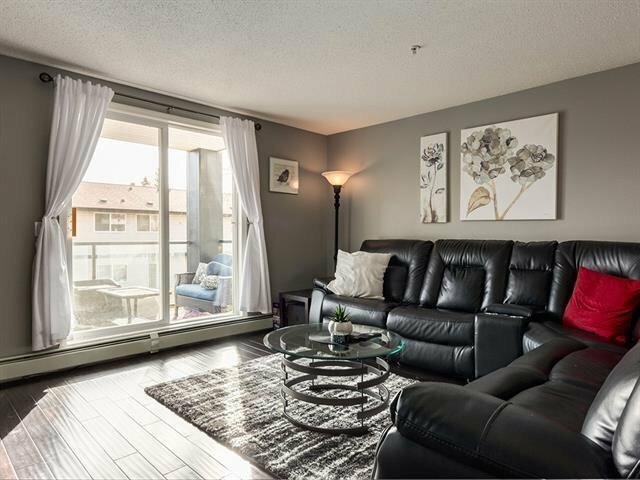 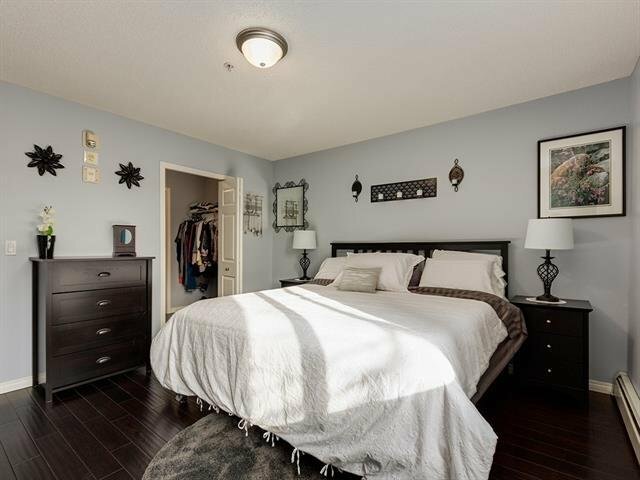 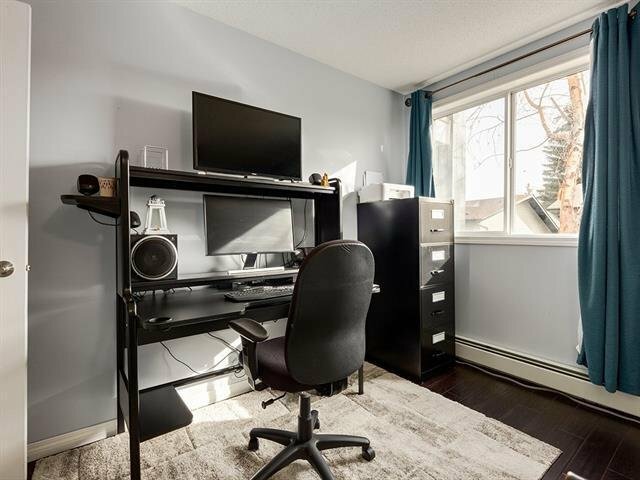 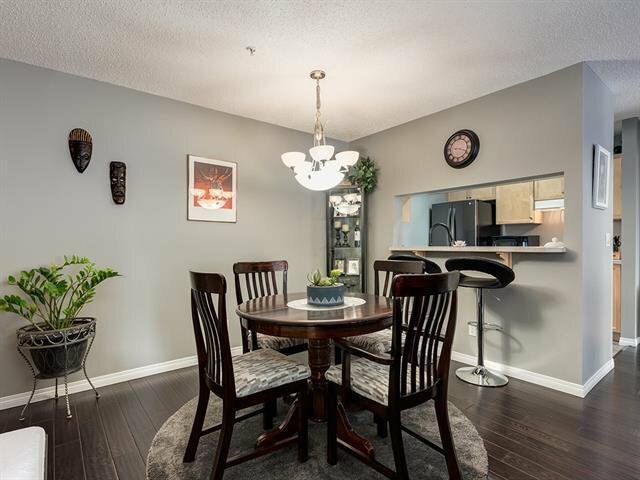 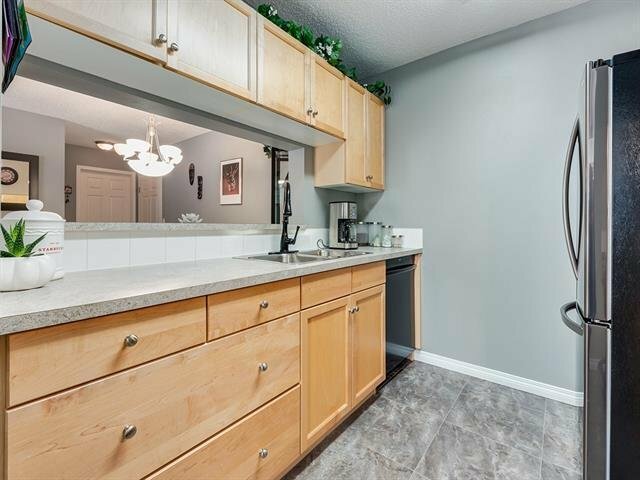 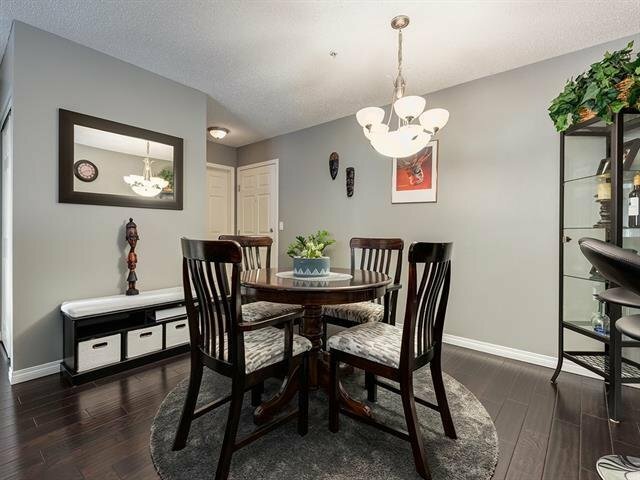 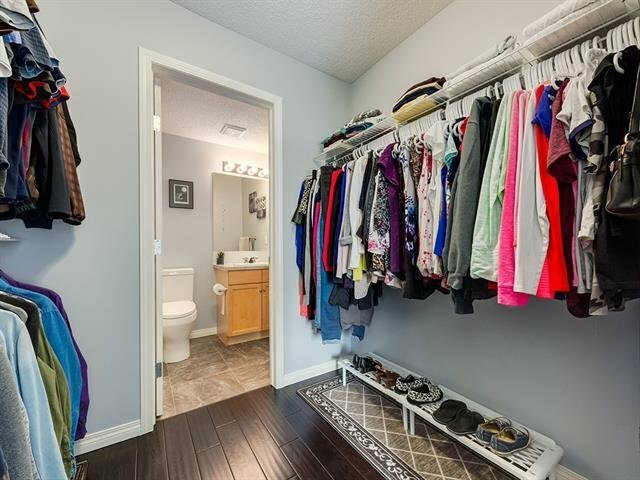 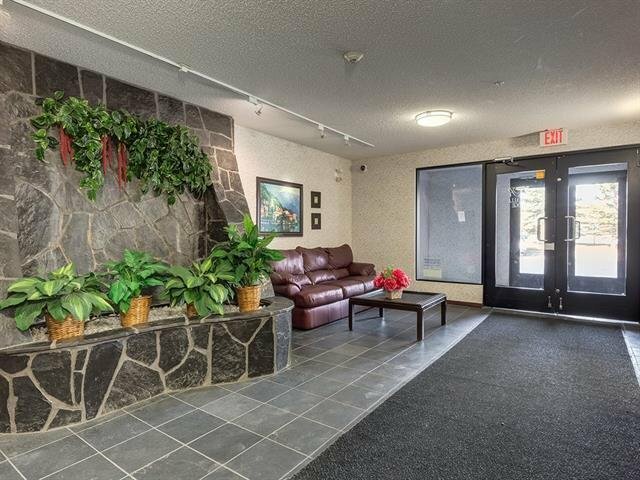 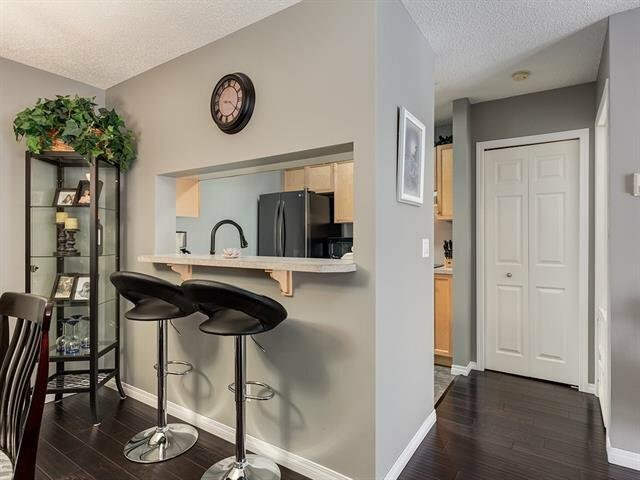 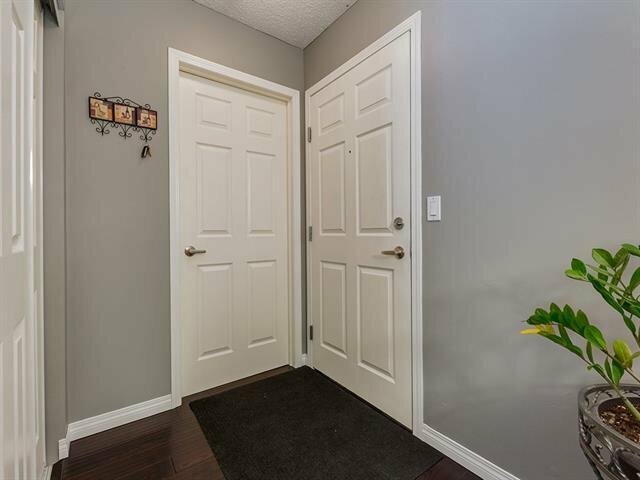 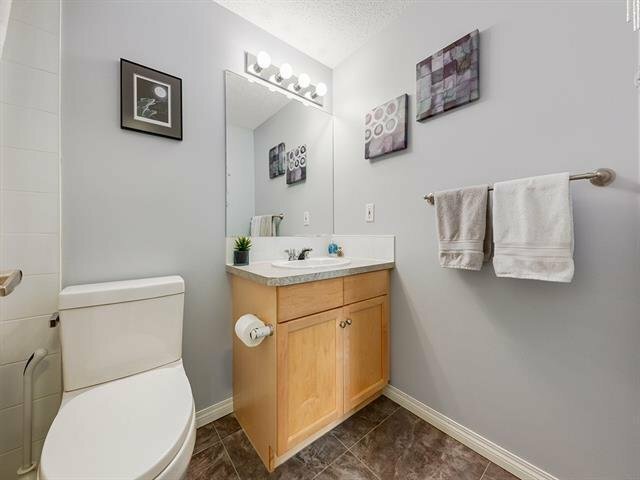 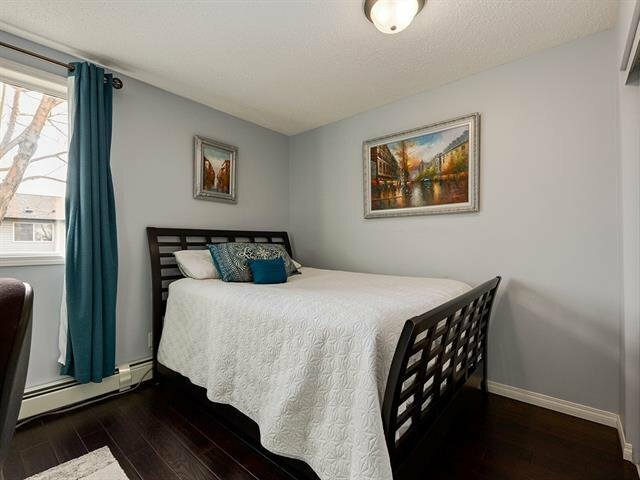 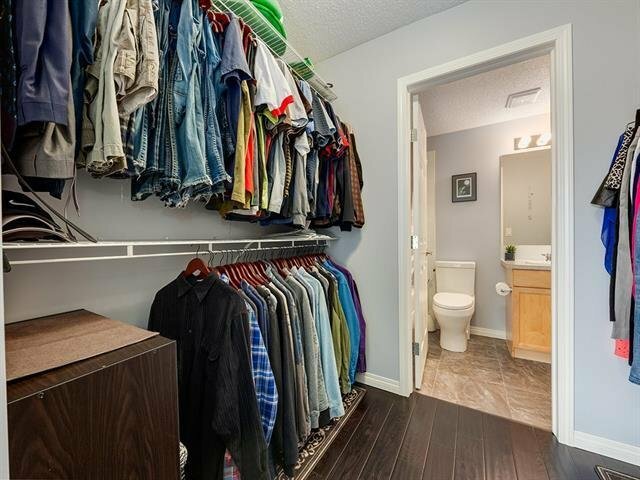 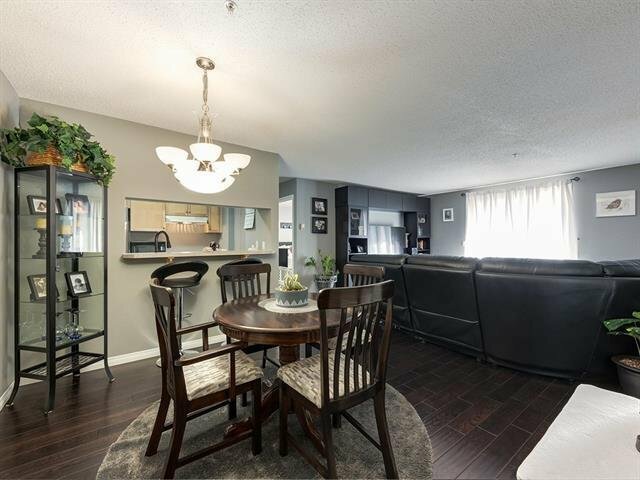 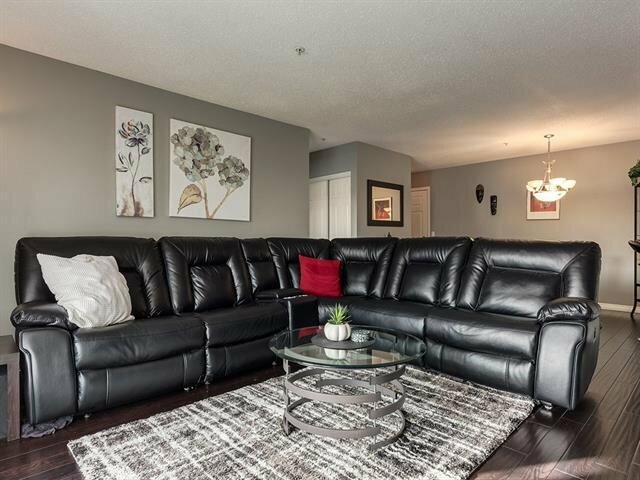 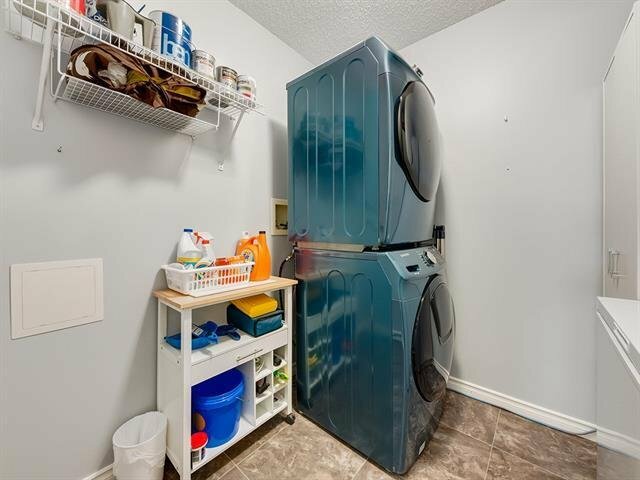 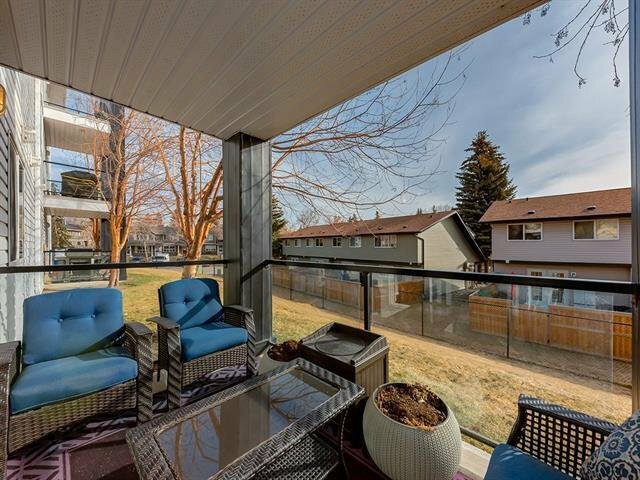 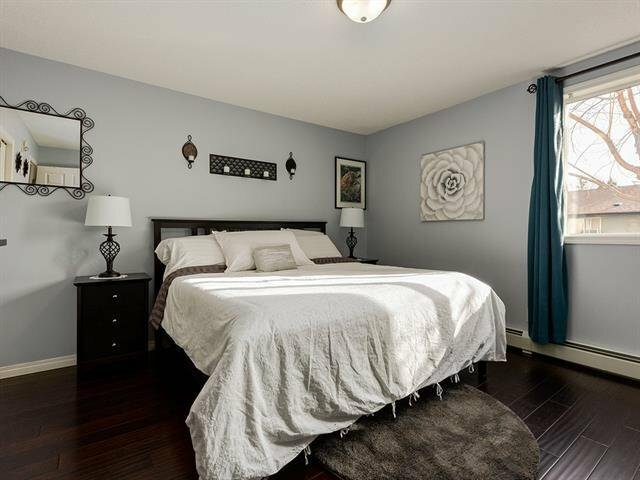 104 - 2022 Canyon Meadows Drive SE, Calgary - 2 beds, 2 baths - For Sale Janet Preston/John (J.R.) Rogers - DISCOVER REAL ESTATE LTD.
Life is grand in Queensland! 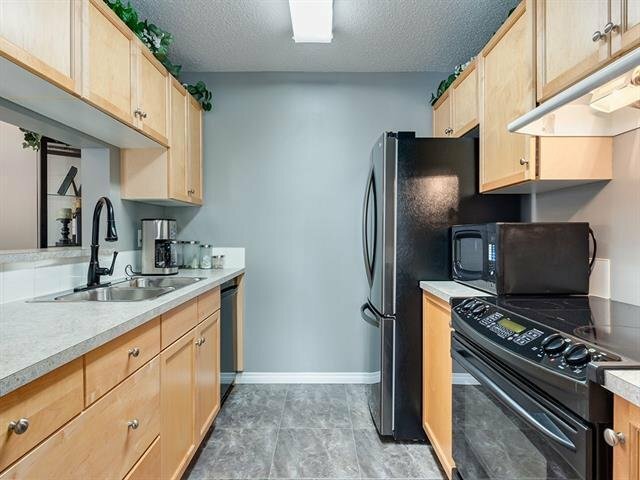 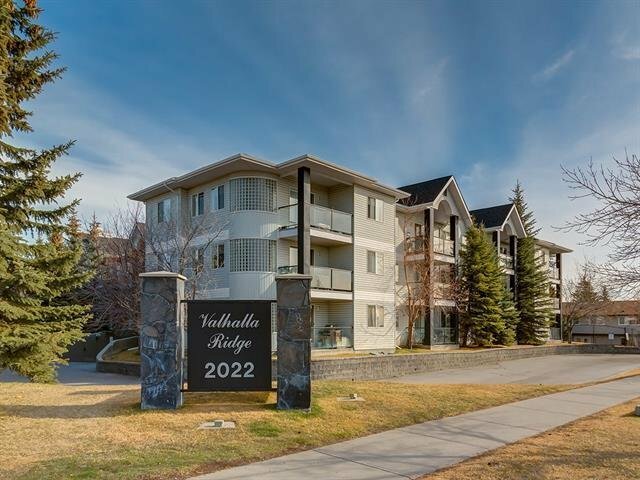 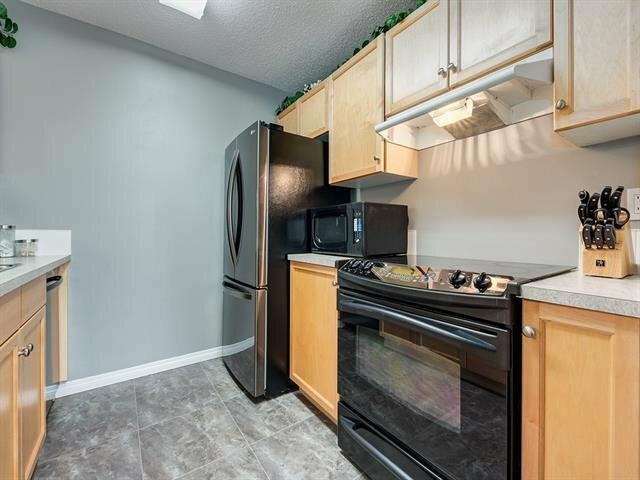 This two (2) bedroom/two (2) bathroom condo is a spacious east-facing unit that is tailored for those who crave a low maintenance lifestyle in a trendy and desirable location! 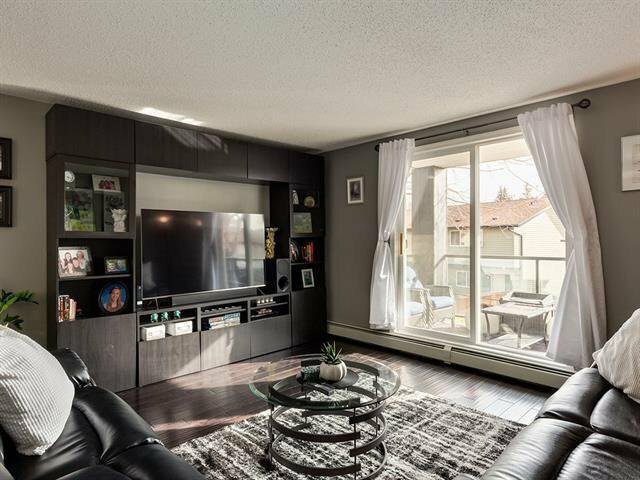 Dark brown engineered hardwood extends through the bright, open-concept floor plan c/w a new black stainless steel LG fridge. 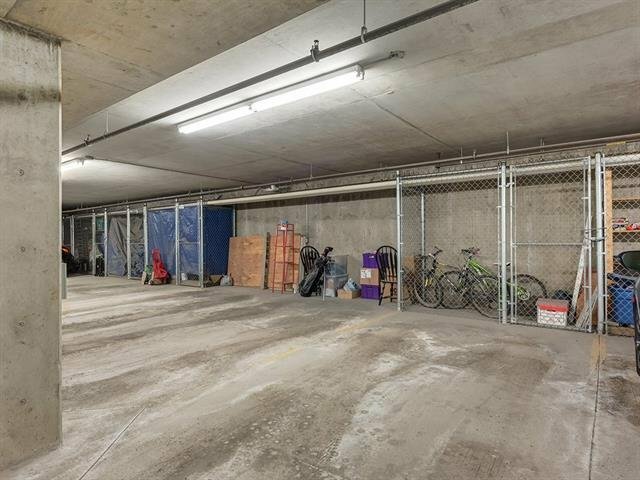 The layout has been thoroughly considered to optimize both storage and space! 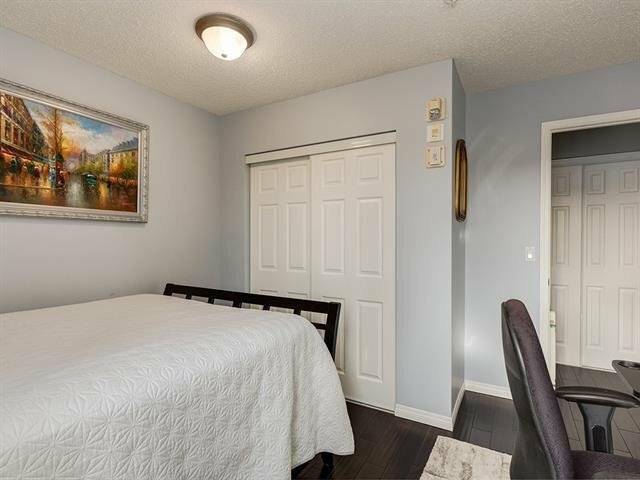 Further desirable comforts include a commodious master bedroom c/w walk-in and master bath, in-suite laundry (new Samsung washer/dryer combo), additional storage in your secure underground parking, and a private green, shared, outdoor space.